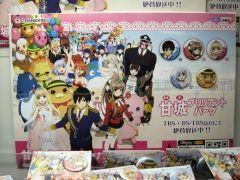 Some of the anime related ufo catcher items that were available in December are as follows: Amagi Brilliant Park badges, Card Captor Sakura goods, Girlfriend goods, To Aru Majutsu no Index figure, Monogatari figures, Puyo Puyo doll. 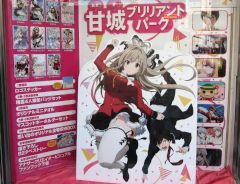 At the end of December there was a store front window display for the Amagi Brilliant Park bluray disc and DVD at Toranoana. 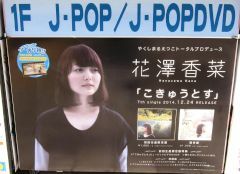 At the end of December there was a small display for the 7th single by Hanazawa Kana at Sofmap. 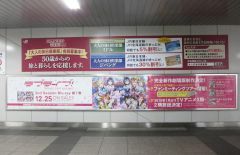 At the end of December, there was a long advertisement for the Love Live bluray disc inside of JR Akihabara Station. 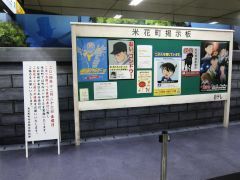 At the end of December, there was an exhibition for the Meitantei Conan TV movie that will be shown on 12/26 inside JR Akihabara Station. 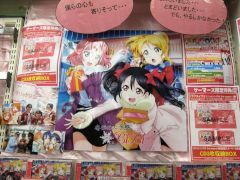 BiBi "Fuyu ga kureta Yokan"
There was display near the entrance of Gamers for the third single by the Love Live subgroup BiBi. 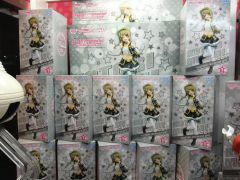 There were many new ufo catcher items for Love Live that were available in December 2014. 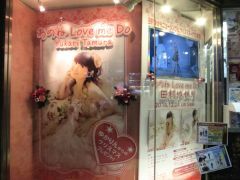 Tamura Yukari "Anone Love Me Do"
There was a store front window display for the new single by Tamura Yukari at Animate.